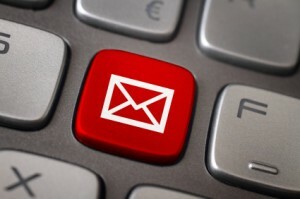 An often-debated subject around inbound marketing companies’ offices is just how much to email clients. It can be tough to figure out how much material is “good” and how much is “bad”. People receive a lot of email these days, and the last thing you want to do is produces a lot of unwanted entries in customers’ inboxes. So, when you’re launching an email marketing campaign on behalf of a client, be sure to take their target audience into consideration. If your client is young and media-savvy with an information-hungry clientele, you’re probably ok to contact their customers a little more than usual. If your client is in an established industry with a loyal group of customers that rarely make changes, then perhaps, unless there is a development of interest, it’s wise to send out emails less often than usual. What is the Ultimate Amount to Email? Email marketers generally agree that an email about once a month should work for most businesses. But before you start scheduling your send-outs, try to establish whether or not you will be able to provide interesting, relevant information each time. If your client’s business doesn’t see a lot of yearly developments, and there aren’t very many product updates to make, then you run the risk of your emails’ content becoming repetitive, which only a slight step above spamming in the email marketing world. Take some time and create a content outline for each email. You may find that you only have enough to say to provide real value for four or six emails. That’s perfectly fine as well! The main point is to ensure you are providing material people want and appreciate each time you contact them. When Should I Hit “Send”? The prevailing wisdom is that the three days in the middle of the week – Tuesday, Wednesday and Thursday – are your best bets for email marketing. On Mondays people tend to get buried in work and spend the day simply trying to catch up from the weekend. On Tuesdays, Wednesdays and Thursdays Calgary’s workers are more settled into their positions and are ready to tackle whatever comes their way. Friday is not a great day to send emails…for reasons that should be obvious. The weekend is nigh, and minds are generally elsewhere. There are a lot of proactive Calgarians, though, and some suggest Sunday for an email campaign to target those who catch up on their email over the weekend. Try a few approaches and see what works best. If nobody opens your emails on a Wednesday, then go for Thursday next time! It’s absolutely imperative to allow those on your email contact list to opt out of receiving correspondence if they wish. It lets the customer know that you are sensitive to the fact that they may be busy and unable to stay on top of all their new messages, and if you don’t include the option, you make be the recipient of a few angry responses. For the most part, “unsubscribe” percentages are low, but if you receive one be sure to honour it as quickly as possible. Accidently emailing the client again does not present the most professional image for your client. Emphasize Design can help you organize the ideal email marketing campaign to optimize your lead conversion possibilities and keep people interested in your business. We are inbound marketing specialists offering SEO, lead conversion, content marketing, website design, brand recognition management and social media marketing services to the Calgary area and beyond. We are a group of creative, passionate and motivated professionals set out to do one thing…help companies succeed online! PreviousPrevious post:Google’s Panda 2.0 Fights WebspamNextNext post:Effective Calgary Web Content Strategy – Make A List!